JEFF Bunton drives an Isuzu 950 Sitec 270 delivering frozen goods to many parts of Tasmania from his base at Somerset. 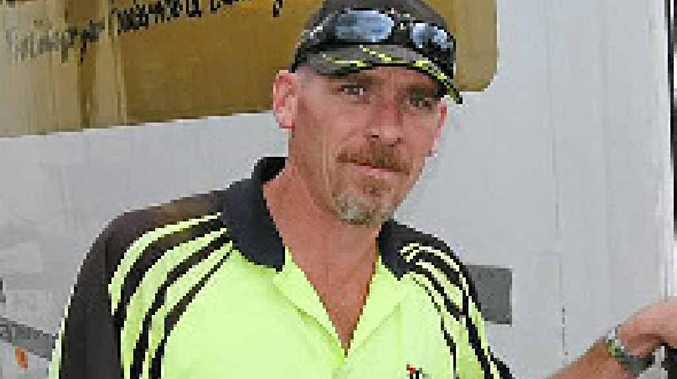 The 40-year-old Jeff works for Bulk Frozen Foods and was delivering goods to a shop at remote Zeehan when Big Rigs saw him. "I carry frozen food and start at Burnie and go to Rosebery, Tullah, Zeehan, Queenstown, Strahan and places in between,' he said. Jeff likes stopping off for coffee at the High Clere Roadhouse which is 19kms from Burnie. "It is nice and clean, the food is good and the ladies there are friendly workers," he said. Outside work Jeff enjoys fishing for trout and salmon at various secret locations and home-brewing beer. Born in Penrith NSW, Jeff supports North Melbourne Kangaroos in the AFL and reckons it is a good job.